A holiday house in Denmark costs on average GBP 347 in the cheap travel period and GBP 1,140 in the peak season per week. These details are of course in relation to the house and not per person as well as includes the obligatory additional charges. atraveo is the official partner of the Danish Tourist Board. DuMont recommends atraveo: Denmark 2012, page 84. Baedeker recommends atraveo: Denmark 2011; 2009, page 98.
Who invented it? Considering the massive selection of holiday apartments and houses one could assume that the concept of a holiday home originates from Denmark. 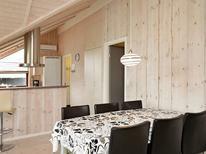 Here the “Feriehus” is a common feature of their cultural understanding. As a vacationer you have a free choice: Along a 7,400 kilometre long coast everybody will find their beach or dune guaranteeing a lovely vacation. 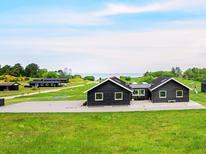 No other country in Europe stands that much for perfect holiday home vacations than Denmark. The most southern Scandinavian country, situated between the North Sea and Baltic Sea offers along its coasts and on its islands holiday apartments and houses in different variations. atraveo provides a selection of more than 26,500 different holiday homes and apartments. The spectrum ranges from two-person bungalows with simple furnishings close to the beach to luxurious holiday houses for several persons with many facilities such as sauna, whirlpool, swimming pool and solarium. 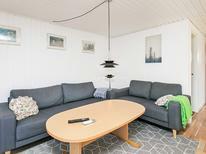 For an exciting holiday at the seaside both the North Sea and Baltic Sea are suitable. Whilst the North Sea coast of Jutland is characterized by long, wide beaches the Baltic Sea coast is rather fjord-like and winding. Here often the many small holiday resorts stretch towards the sea. Especially popular are the so-called South Sea Islands, the small and large islands in the Baltic Sea. 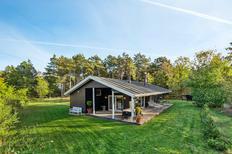 Whether Funen, Zealand, Langeland, Lolland, Møn, Ærø or Bornholm – everywhere you will find appealing holiday homes ideal for you and your family or friends or even for a romantic holiday for couples. The North Sea islands Rømø and Fanø are in no way inferior and impress with their extra wide sandy beaches. Apart from that the country has also other sights and attractions to offer. With the capital Copenhagen of course leading the way with its old harbour which is amusingly called Nyhavn (“new harbour”) and the small mermaid. At Skagerrak, the northern tip of Jutland,where the North and Baltic Sea join together you can gaze at the large shifting sand dune Råjbjerg and Billund Legoland captivates kids as well as grown-ups. 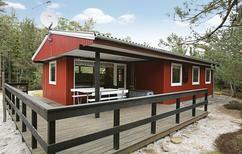 The best travelling time for a holiday home vacation in Denmark is of course summer. Especially during the months July and August one can expect perfect temperatures for great vacations by the seaside. But also the rest of the year it is suitable for a holiday. 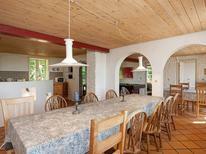 Especially the choice of the right holiday house is important. 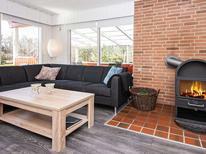 You would not for example mind the rough and chilly North Sea breeze on your thatched roof that much whilst you are relaxing in the sauna of your holiday home on the island Rømø near Sylt and with a crackling fire in the fire place creating a cosy atmosphere. Another advantage is that during off-peak season holiday homes cost considerably less and a luxuriously fitted house can be booked for reasonable prices.